Summer is the perfect time to head out for fun with family and friends. 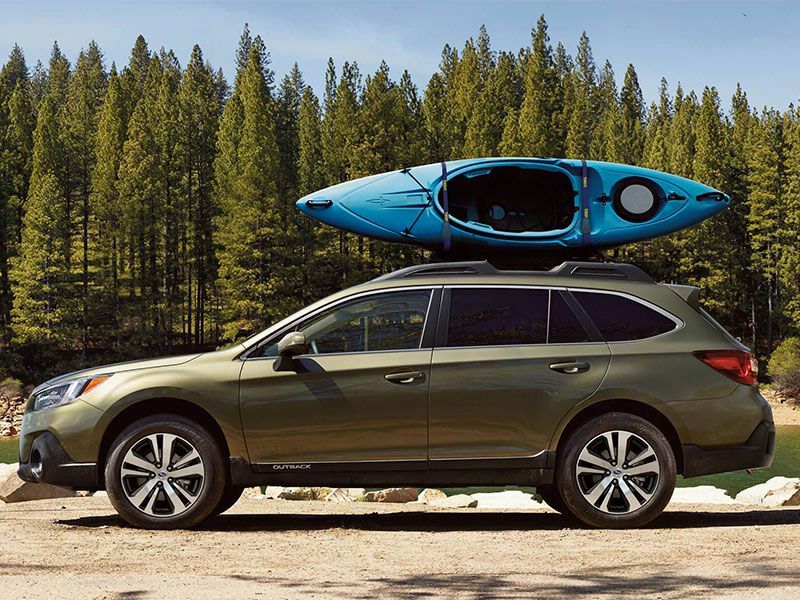 The right vehicle makes it even better, especially an SUV with room for the kids, their friends, and plenty of cargo space. The wide range of SUVs on the market today ensures there’s a perfect fit for your summer plans with the features you need to enjoy the ride. 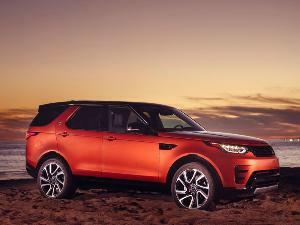 Here are our top picks for the 10 best SUVs for a summer adventure. The 2018 Chevrolet Tahoe offers everything you need for summer adventures. There’s room for up to seven passengers and up to seven USB ports to keep everyone’s devices charged, plus an available rear-seat entertainment system to help pass the time. 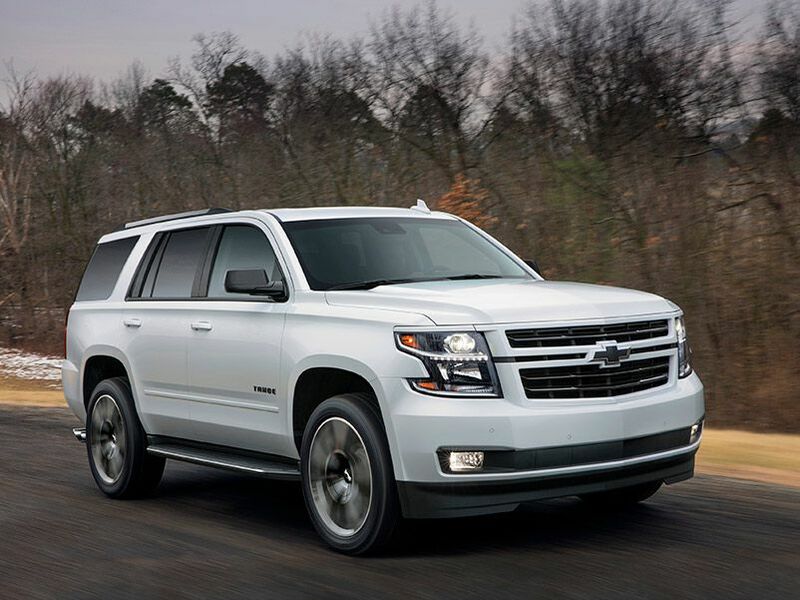 The Tahoe also has good room for cargo with 15.3 cubic feet behind the third row, 51.7 cubic feet behind the second row, and 94.7 cubic feet behind the first row. 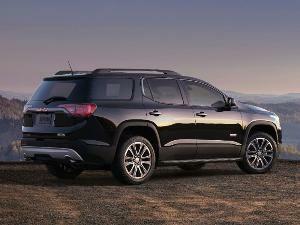 If you have a full load of passengers and still have lots of cargo, not to worry — the Tahoe can tow up to 8,600 pounds. No matter what summer adventure you have planned, the Tahoe is ready. Pricing on the 2018 Chevrolet Tahoe starts at $47,500. Volkswagen brags that the all-new 2018 Atlas is the biggest Volkswagen ever to hit the U.S., and we also think its a great companion for all your big summer adventures. There’s room for seven with a spacious interior that ensures the kids each have enough room to be happy. The 60/40 split-folding second-row reclines 14 degrees for napping and has a 7.7-inch sliding range. The second-row is expansive when pushed all the way back, but it also can leave ample legroom for the third row when pushed forward. There’s plenty of room for cargo, too, with 20.6 cubic feet behind the first row, 55.5 cubic feet behind the second row, and 96.8 cubic feet behind the first row. 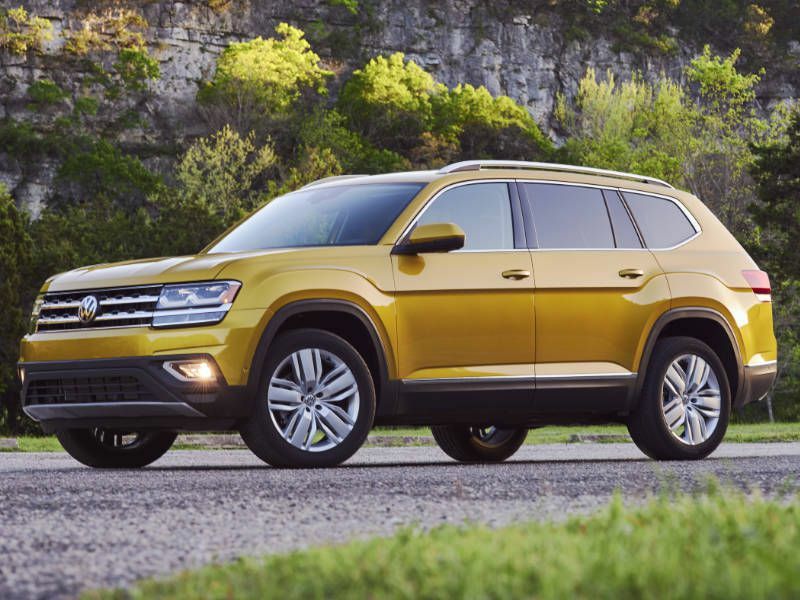 Pricing for the 2018 Volkswagen Atlas starts at $30,750. The 2018 Toyota 4Runner offers room for five passengers and the capability you need for off-road summer adventures. 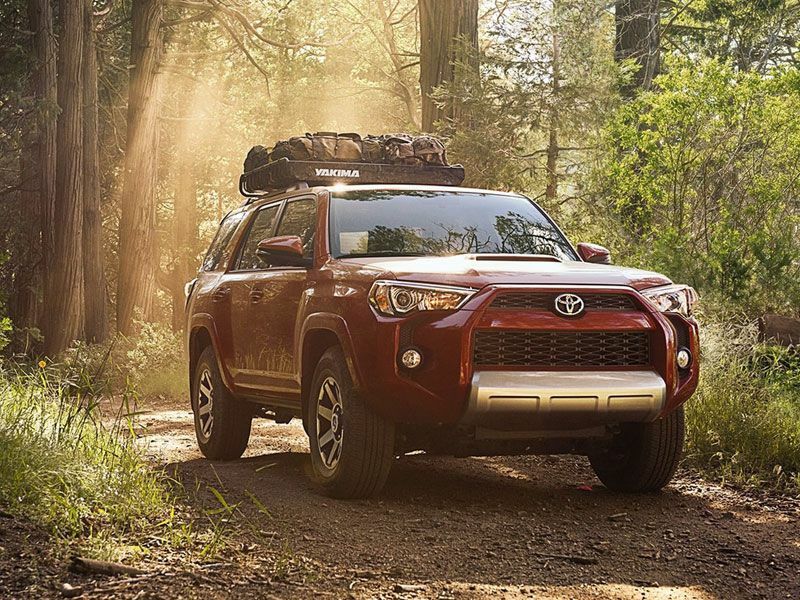 It offers two 4-wheel drive systems, both with active traction control to make sure the 4Runner can find its footing in dirt, mud, and gravel. Select trims feature a locking limited-slip center differential for handling the most challenging terrain. The 40/20/40 flat-folding second row gives more flexibility for cargo with up to 88.8 cubic feet behind the first row. There’s also an available sliding cargo deck to make loading and unloading easier. 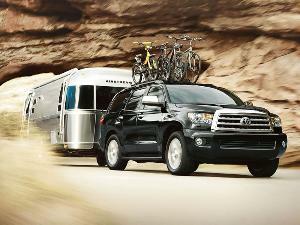 The 4Runner can also tow up to 5,000 pounds. Pricing starts at $34,610. 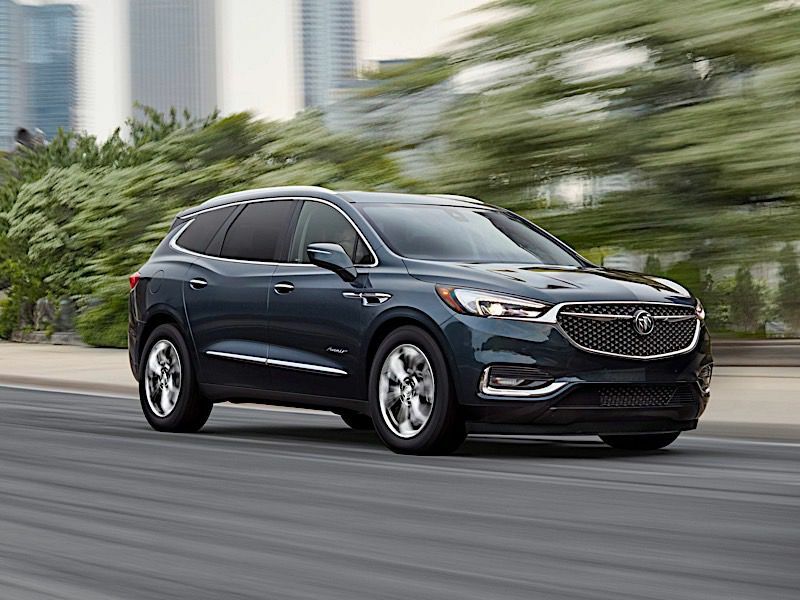 The 2018 Buick Enclave offers a touch of luxury along with family-friendly features at a starting price of $39,995. There’s seating for up to seven passengers with a standard 8-way power driver’s seat with power lumbar and heated seats for the driver and front passengers. The kids will also stay happy with an available rear-seat entertainment system with DVD player. It features dual 8-inch headrest screens, remote control, and wireless headphones so adults can enjoy a quiet conversation while the kids stay entertained. The 2019 Jeep Cherokee got a facelift this year and a new turbocharged 4-cylinder engine. What didn’t change is its rugged capability. 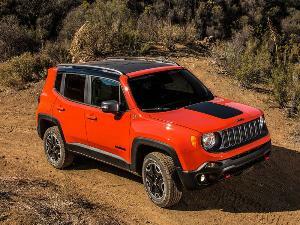 Jeep has long been the brand of choice for those who prefer dirt over the pavement. 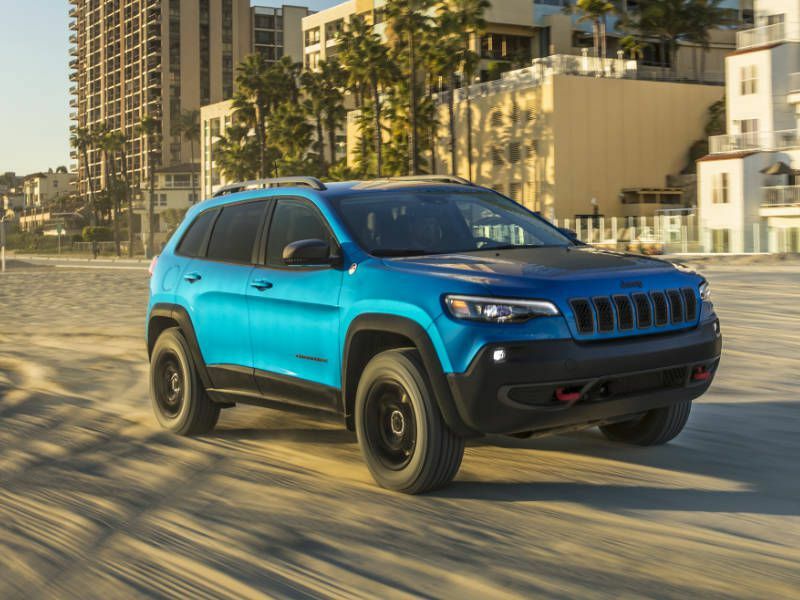 The Cherokee is up for your off-road summer adventures with front-wheel or four-wheel drive across the lineup, except for the Trailhawk which is only four-wheel drive and boasts the most off-road capability with skid plates and higher ground clearance. Pricing for the Cherokee starts at $23,995 with standard Selec-Terrain traction modes, eight cargo tie-down loops, and up to 54.7 cubic feet for cargo. It can also tow up to 4,500 pounds, so you can bring all your favorite toys. 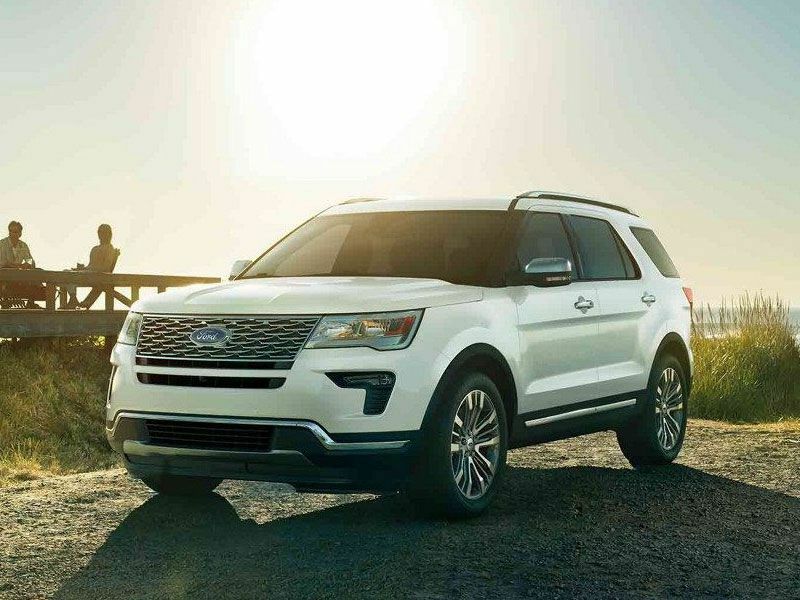 There’s room for up to seven passengers in the 2018 Ford Explorer with reasonable cargo capacity and a tow rating of up to 5,000 pounds. Three available engines include a 3.5-liter V6 with 356 horsepower and 350 lb-ft of torque. All that torque makes it an ideal choice for those who regularly tow a little extra on their summer adventures and helps give the Explorer the power it needs when hauling toys. The Explorer also has trailer sway control, so you can more confidently tow and stay relaxed behind the wheel. Pricing for the 2018 Ford Explorer starts at $32,140. 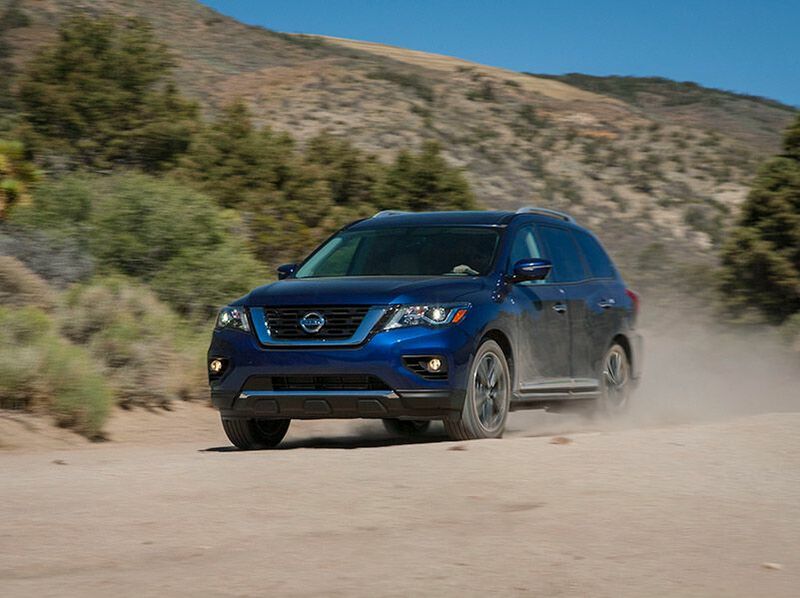 The 2018 Nissan Pathfinder offers seating for seven passengers with a roomy and comfortable interior. One of the biggest challenges to a three-row SUV is getting in and out of that third row, especially when kids in car seats are piling in and out of the car during summer road trips. The Pathfinder takes care of this problem with a unique seating system. This system lets the second-row tilt and slide forward providing easy third-row access for everyone, even adults. Even better, the second-row car seat on the passenger side doesn’t need to be removed to move that seat, so that quick bathroom break just got easier. Pricing on the 2018 Nissan Pathfinder starts at $31,040. The 2018 Volvo XC90 has seating for up to seven in a luxurious interior that makes even the longest summer road trip something to look forward to, rather than dread. There’s a standard panoramic moonroof with power sunshade, high-performance audio system, leather steering wheel, and 4-zone climate control. 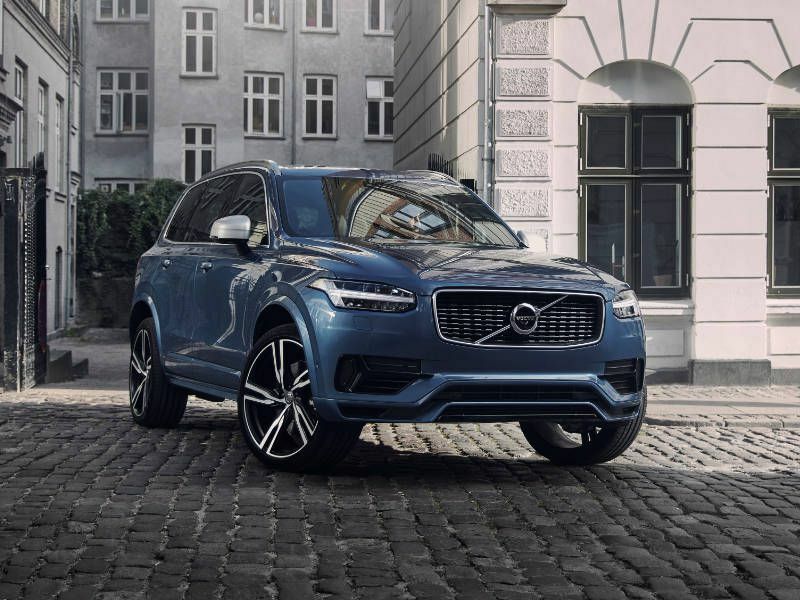 Driver and front passenger seats are 10-way power adjustable with power lumbar and memory, and there are leatherette seating surfaces throughout the XC90. 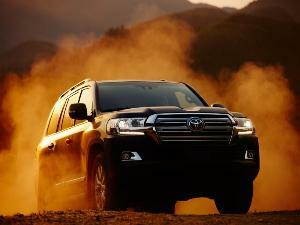 It also gets fantastic fuel economy so that you can spend more on your vacation and less at the pump. The XC90 achieves EPA-estimated fuel economy of up to 22 mpg in the city, 29 mpg on the highway, and 25 mpg combined. Pricing starts at $46,900. Mazda has a reputation for building cars for those who enjoy driving, and the 2018 Mazda CX-9 has no trouble upholding that reputation. 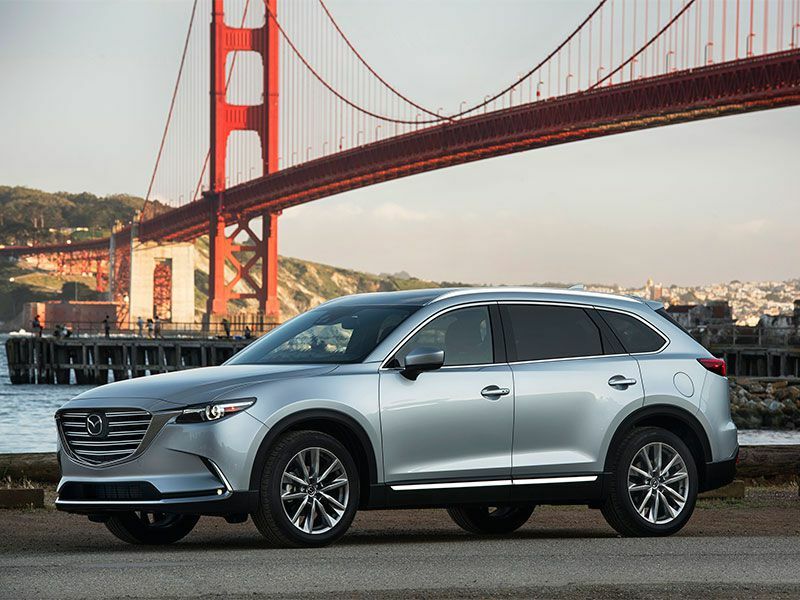 If you need room for seven passengers and their cargo but cringe at the thought of summer road trips behind the wheel of a dull SUV, then the CX-9 is a perfect choice. The CX-9 features strong acceleration and makes navigating congested highway traffic easy with its 6-speed automatic transmission. You won't be wanting for power with its a 2.5-liter, 4-cylinder engine that produces 250 horsepower and 310 lb-ft of torque. It's excellent handling also makes it less tiring on long road trips and outright fun when you head off the highway onto twisting country roads. Pricing starts at $32,130. 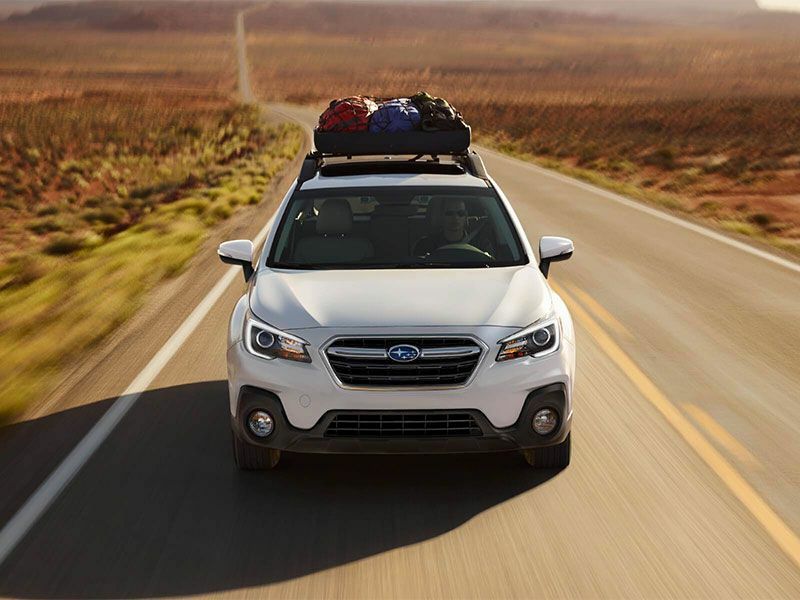 The 2018 Subaru Outback is a great choice for those whose summer adventures don’t involve paved highways as much as dirt roads. There’s room for five passengers and their cargo with 35.5 cubic feet behind the rear seats or 73.3 cubic feet of cargo space with the seats up. It comes standard with all-wheel drive and has 8.7 inches of ground clearance to make driving up to that cabin in the woods a breeze. 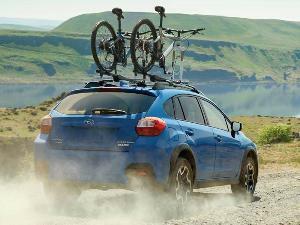 Every Outback also comes with X-Mode, hill descent control, and hill holder to handle more rugged adventuring with pricing from $25,895.